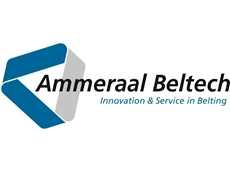 Rydell Beltech Pty Ltd are a specialist belting company who can supply all types of belts and belting for a wide variety of applications and industries. These include AMtex and Ammeraal Beltech conveyor and process belting, Rapplon transmission belting, Gates Industrial rubber and PU belts, Gates Industrial Hose, Cog-Veyor Hygienic Positive Drive belting, Uni Chains (Ammeraal Beltech Modular) plastic modular belting and chains, Beha round and Vee section PU or PE belting and specialised engineered belts. Rydell have been a national distributor of Gates Industrial belts and hose for over 30 years. Our factory-warehouses hold bulk inventories of Gates belts for a wide range of industrial power transmission and conveying applications. And our experienced personnel are well-qualified to provide on-site product application advice and engineering services such as drive design, failure mode analysis, preventive maintenance training, and installation advice. 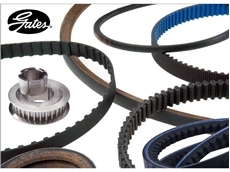 Our range includes Gates Predator® belts. PolyChain®GT® Carbon™. Powerband® belts. Micro-V® and Poly?ex® belts. Quad-Power® III heavy duty belts. BladeRunner® and PoweRated® Kevlar® belts for outdoor power equipment and agricultural machinery. 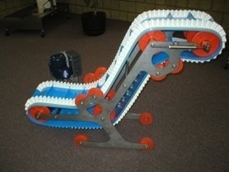 Gates-Mectrol Synchro-Power® polyurethane timing and long length belting. 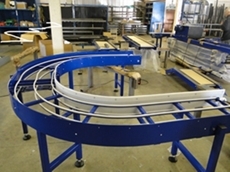 We also offer the extensive range of Gates-Mectrol ‘engineered’ and custom-made belting which includes food grade and specialty materials-handling belts for a wide range of applications such as meat, dairy, poultry, pharmaceuticals, bakery, and beverage packaging.Call us now to learn more about the Rydell ‘showcase’ of products. Beha PU cordsWith partners at Beha Innovations GmbH of Germany, Rydell Beltech Pty Ltd offer a comprehensive range of only first grade raw materials in PU & TPE belting profiles and flat belting solutions for industry. Coupled with a range of innovative joining tools and expert advice Rydell and Beha can bring a solution to any application.Rapplon Flat Transmission BeltingQuality Swiss manufactured Rapplon High Performance belting has a reputation earned by over 50 years of manufacturing for meeting the needs of many industries. In Australia, with Rydell as a valued partner since 1989, we have specialised in the paper, print, cardboard, box and carton industries. 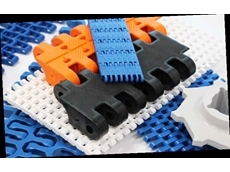 Rydell offer the Classical Polyamide tension member Rapplon belt range and the innovative Quick Splice Range and DIY joining tools to aid businesses to improve their up time. Talk to Rydell to give you a Rapplon solution. 18/07/17 - Advanced thermoplastic rubber and polymer types can be hard to identify when clients in the food processing and packaging industry need to procure OEM quality belts.Rydell Beltech Pty Ltd can assist clients with technical support to verify rubber hardness and abrasion resistance; coefficient of friction; dimensional tolerances; electrical conductivity (static); temperature ratings; food grade compatibility standards; suitability for CIP; and metal detectable criteria in addition to many other food safety and hygiene considerations.Rydell Beltech can also show clients comparative samples of custom-made engineered belts and assist with belt audits and machine surveys. 06/04/17 - Rydell Beltech Pty Ltd can help industrial clients lower their energy costs with condition monitoring products and services for power transmission equipment.Studies show that monitoring the tension and load conditions of belt drives can improve drive efficiency by almost 10 percent.Contact Rydell Beltech for speciality advice regarding timing and Vee belt drive tension analysis. 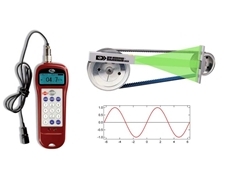 Tension readings and reports can be provided in Hz frequency or Newton for clients seeking to evaluate existing drive performance and optimise belt life. Rydell can assist with the analysis of belt drive shaft loads and diagnostics relating to shaft and pulley alignment. On-site training seminars are also available. 15/01/17 - Rydell Beltech are specialists in belting for confectionery. 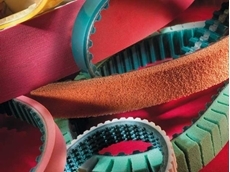 Our belts are designed with non-stick materials and are thus perfectly suited for confectionery.Our various belt materials and surface finishes can handle even the most critical products. 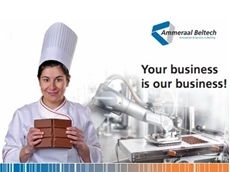 Read all about our solutions for this sweet and tasty industry. Download the Confectionery Brochure from our website. 03/08/16 - If you are in the business of building conveyors for plastic modular belting, then there is a good chance that you use UHMW-PE to support the belt and provide a low friction carryway, for the belt to run on.Rycon RRR23 UHMW-PE extruded wear strip profile is a tough, wear resistant plastic that combines an incredibly low co-efficient of friction, with hard wearing anti-abrasive properties. 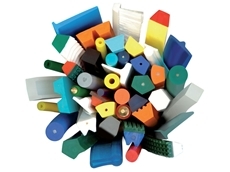 This self lubricating polymer has excellent chemical resistance and a broad temperature range, making it the perfect choice for engineers constructing conveyors for plastic modular belting.If you are a user of plastic modular belting then you will be using a similar product to our RRR23 UHMW_PE extruded wear strip.Contact your nearest Rydell Beltech branch for a quote or a sample.